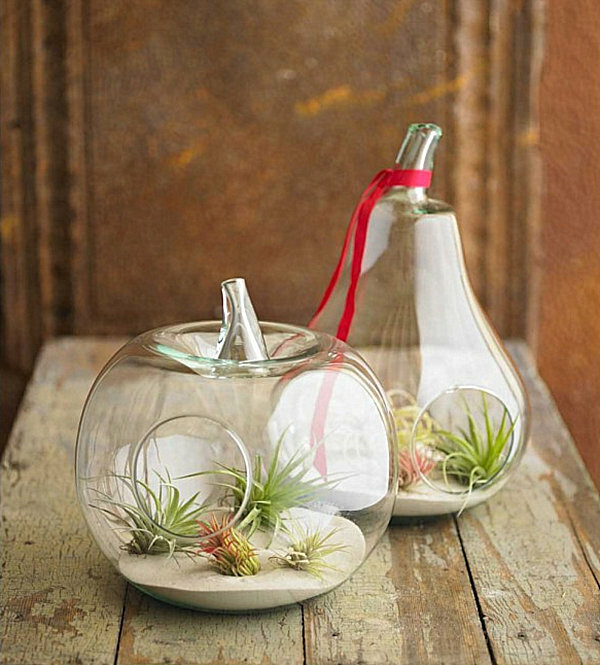 Today we take a look at ways to create your own unforgettable air plant terrarium. Whether you order your supplies in a bundle or you gather each item yourself, the possibilities are endless. 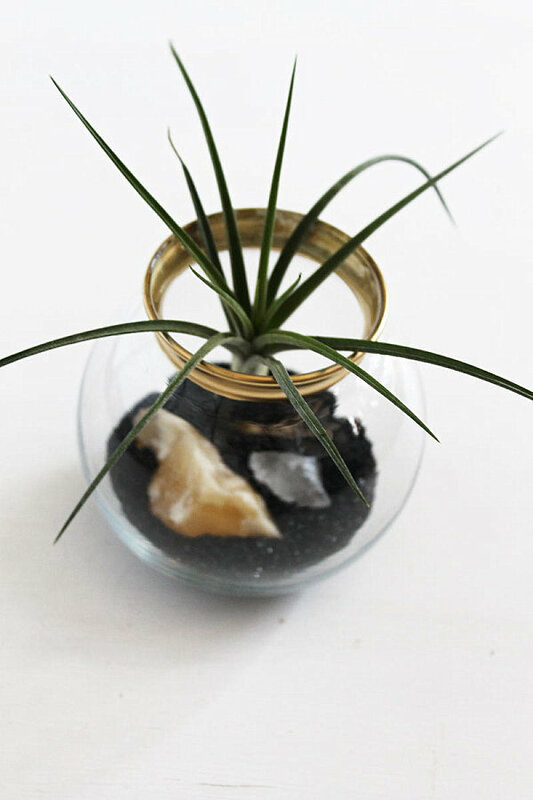 After all, since air plants get their moisture and nourishment from the air, there are no required terrarium ingredients (no soil or special fertilizers required). The resulting flexibility increases your design options and provides plenty of opportunity to let your creativity shine! 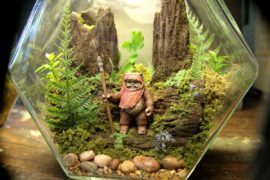 We begin with a selection of DIY terrarium project ideas, and then we’ll highlight a few places to purchase the necessary supplies. This first DIY project proves that keeping it simple can lead to design greatness. There’s nothing like the clean form of a glass globe and the contrast between greenery and rocks. 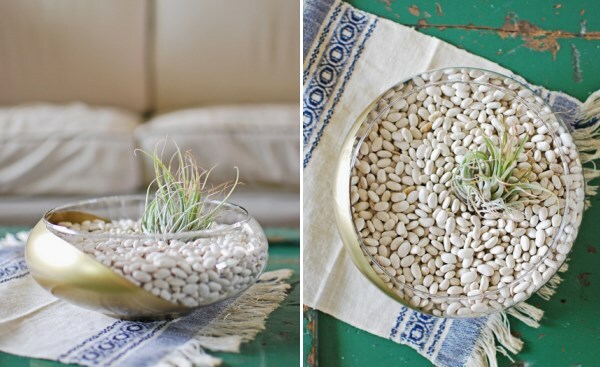 In fact, for this DIY Air Plant Terrarium, Ciera of Ciera Design incorporated special rocks and shells from her vacations to create an earthy base for the plant. 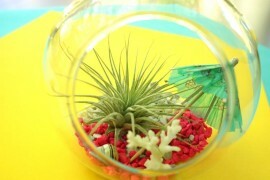 What makes an air plant terrarium unforgettable is often the special touches that personalize each creation. 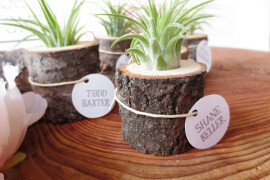 The project idea below served as a special gift, and handmade clay tags honor the giftees while adding style to the vignette. 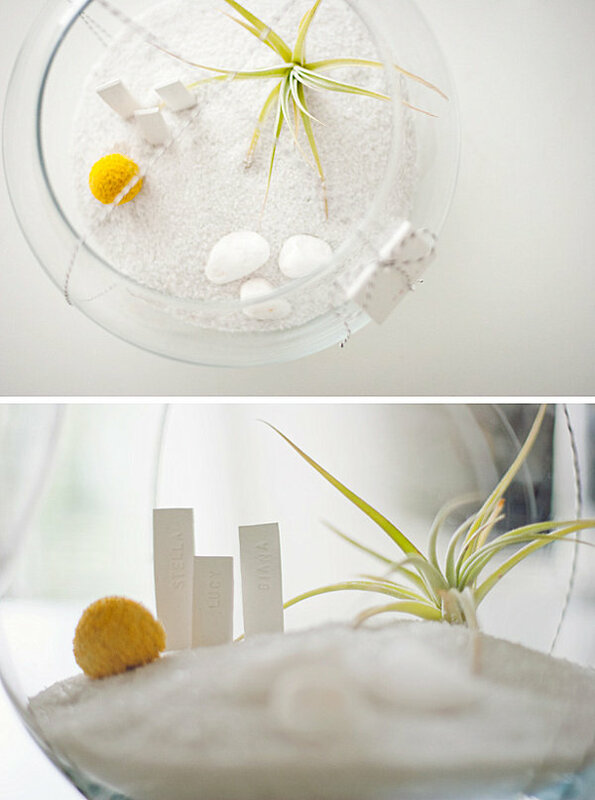 Other ingredients of interest in this DIY Air Plant Terrarium from MStetson: white sand, dried craspedia/billy balls and rocks. The white-on-white effect is quite striking! 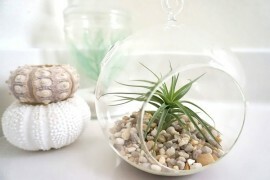 Also keep in mind that mineral specimens and polished pebbles can serve as focal points in your terrarium vignette. 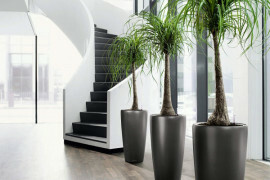 Not to mention, selecting an unusual container makes a big difference. 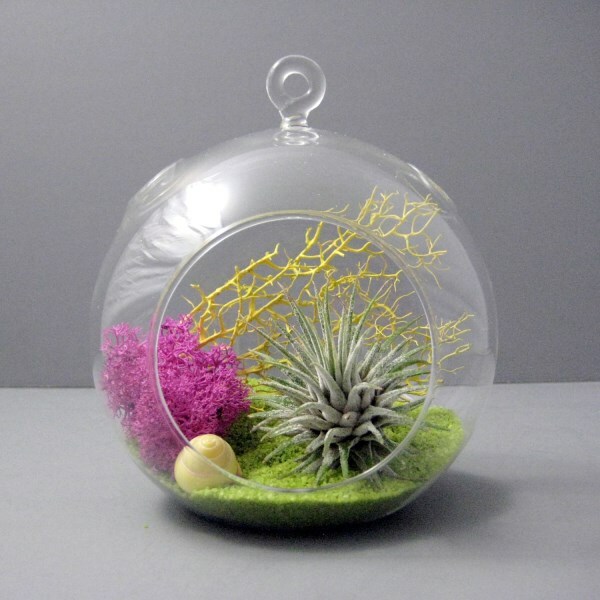 Below we see a Small Terrarium from Etsy shop Sun and Glory. 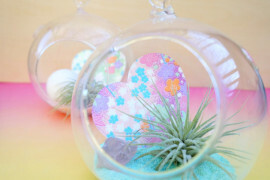 If you select a glass sphere with air holes as your container, don’t hesitate to take advantage of the design. 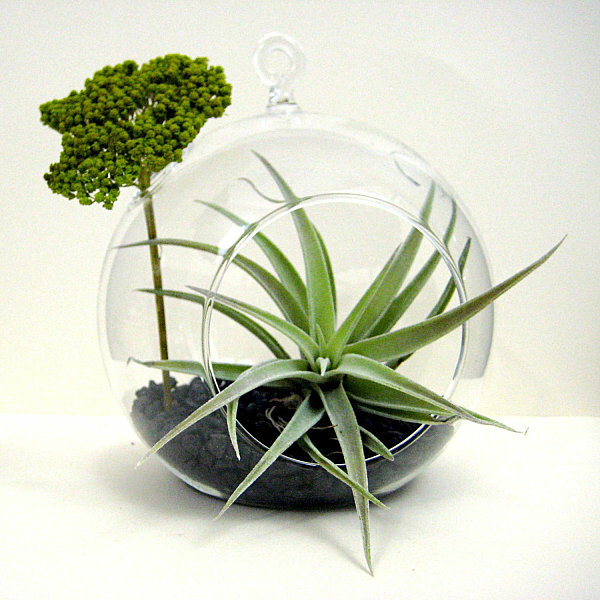 Tuck tall accents such as yarrow into the terrarium via the small circular openings to add height and interest! 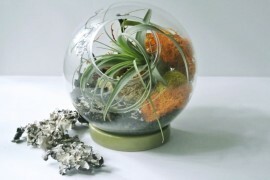 This Green Yarrow Air Plant Terrarium from Etsy shop Sea & Asters is pretty unforgettable, don’t you think?! 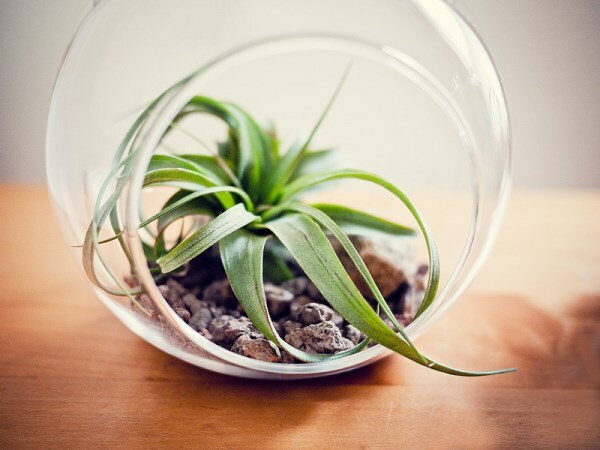 It can be fun and challenging to gather the supplies of your terrarium one by one, but if you’re looking for an all-in-one solution, consider ordering a terrarium kit that provides you with everything you need. 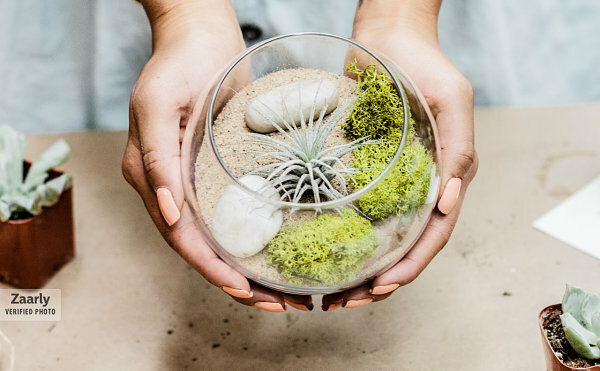 Not only does this Air Plant Terrarium from VivaTerra boast a unique fruit-shaped form crafted of recycled glass, it arrives with four air plants, as well as sand. 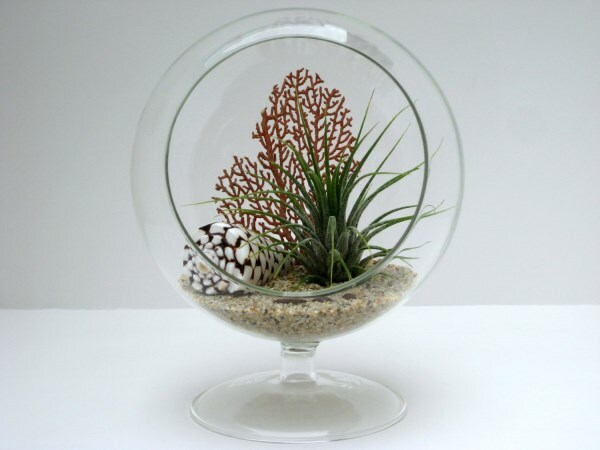 The footed container of this Table Top Terrarium from Etsy shop William’s Grove is filled with sand, a red sea fan, and a marble cone shell. 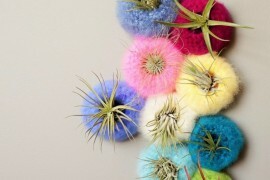 Mini beach pebbles form a soft cushion for the Tillandsia Ionatha. 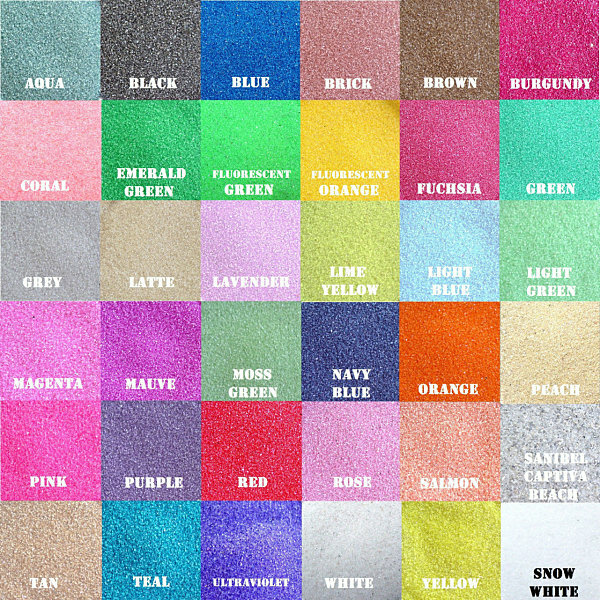 All of the supplies are yours with one order! 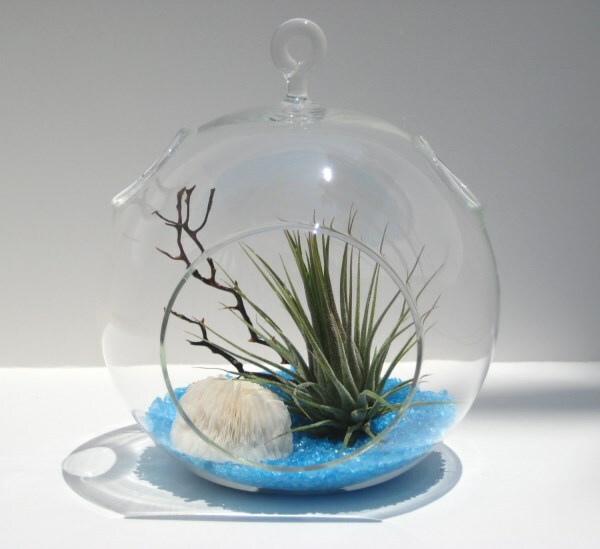 The bright blue recycled glass of this Air Plant Terrarium (also from William’s Grove) makes a big impression, especially the way it contrasts the white mushroom coral. 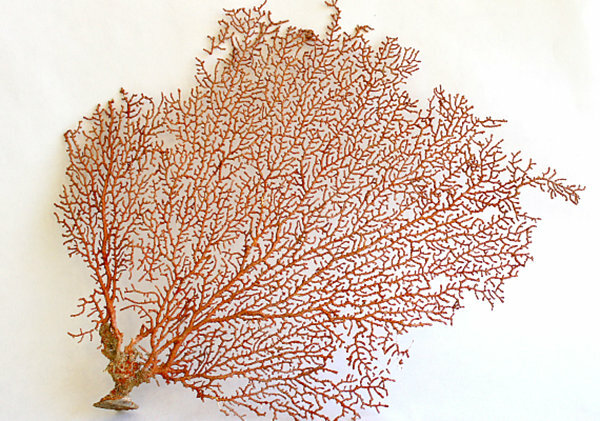 Black sea fan and a Tillandsia Ionantha are other standout supplies in this complete set. 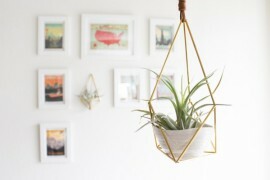 Did today’s post give you some fresh ideas for your very own air plant terrarium? Remember that taking the time to select truly interesting accent pieces (mineral specimens, colorful sand, unusual items from the sea) can elevate your terrarium to “unforgettable” status! Happy crafting!